LG is a global leader in technology and home appliances. 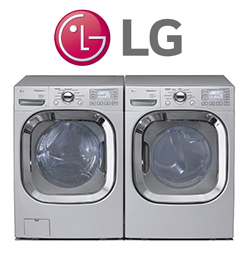 LG is one of the world’s leading producers of washing machines, clothes dryers, and refrigerators. LG Electronics is an ENERGY STAR Partner of the Year. Established in 1958, LG has led the way into the digital era from manufacturing many household appliances for kitchens, garages, and laundry rooms. Area Appliance Service Inc. stands behind all of our major appliance repairs with a 100% Satisfaction Guaranty for up to 12 months. Speak to a live operator at (847) 459-8070 or schedule a service appointment online. 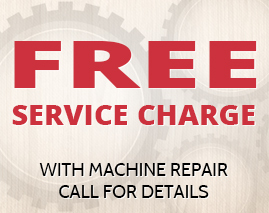 Area Appliance Service can help repair your broken LG residential machines. We have been a family owned and operated company for about six decades. Our team of LG repairmen, fight hard to provide excellent appliance repair and customer service to you and your family in time of need. We know LG washers and dryers in-and-out and can repair most problems with them same-day. We offer 24/7 emergency repair services, with prompt, courteous, well trained technicians, skilled in LG appliances. Whether you have a front-loader, top-loader, or side-loading unit in your household, Area Appliance Service can repair all LG washing machines and clothes dryers. If we can’t we will let you know before we starting any repair. We DO NOT service or repair LG manufacturer’s warranty work. If you would like to get manufacturer’s warranty service, please refer to your LG appliance owner’s manual for their warranty hotline. Area Appliance has repaired 100’s of washers and dryers over our five decades of service. We offer appliance repair coverage that spreads across Buffalo Grove, Arlington Heights, and the surrounding suburbs. Our company specializes in ALL types of dryers for residential use. The AAS techs have the skill to simply service or completely repair your defective washer to like-new condition. All our washer and dryer technicians are trained in LG appliances, licensed, bonded and insured with plenty of experience under their belt. Schedule Service for Your LG Appliance Today!